But you may have to change your address. Thanks to Tesla's indisputable popularity, the company has depleted its full $7,500 tax credit allowance from the government. You will still get $3,750 back in incentives, though it isn't as much as you'll receive when you buy a more recently-revealed EV like the Polestar 2. Tesla has finally come around to offering the $35,000 Model 3, meaning the price goes down to $32,450 when you factor in the tax incentive and the $1,200 delivery fee. 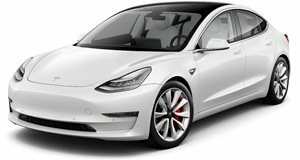 While this price is pretty fair, InsideEVs has discovered a method for getting a Model 3 for as low as $26,250 (plus delivery). The deal also applies to pretty much any other EV but it may require you to change your address. 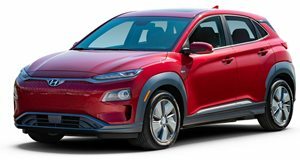 While the federal incentive for buying an EV can be as much as $7,500, many states have their own incentives and discounts you may be eligible for. 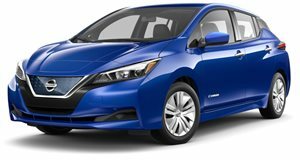 California, for example, offers up to $2,500 off the purchase of an EV or $1,500 off the purchase of a plug-in hybrid. Therefore, a Tesla Model 3 would cost just $29,950 in California. If you live in Colorado, the incentive is even better. The state offers a $5,000 tax incentive for EV purchases and a $2,500 incentive for EV leases. If you do the math, a $35,000 Model 3 with $3,750 and $5,000 off in Colorado brings the price down to a tantalizing $26,250. You do have to add $1,200 for the destination fee, bringing the price up to $28,450. Depending on what state you live in, buying an EV may be more affordable than you thought. Be sure to check out whether your state has any available deals at pluginamerica. Not all states offer incentives but it's worth checking if you are in the market for a new EV.